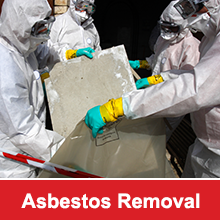 How a quality Roofing Solution can lower your Company’s Overhead	Do I Need to Remove Asbestos? Is There Anything Else Can I Do? The roof of your commercial building is an important investment in your business and the protection of your employees and customers. As is the case with any roof, after a period of time or as the result of damage, it may be necessary to replace your roof. Understanding how to prepare for the replacement of your commercial roof can help to ensure the process is as smooth as possible. To help with this we have listed 8 tips or ways that you can prepare for the replacement of your commercial roof. 1. Realisation: First, it is important to understand how to recognize when your commercial roof may need to be replaced. There can be many indications that could point to the need to replace your commercial roof, including missing shingles, frequent leaks, buckling metal planes and screw holes that are growing increasingly larger. 2. The type of roof you need: Once you have made the decision to replace your commercial roof, it is important to give consideration to the type of commercial roof that will best suit your building, your needs, and your budget. 3. Hire an experienced roofing contractor: The importance of hiring a professional contractor who specializes in the installation of commercial roofs cannot be stressed strongly enough. 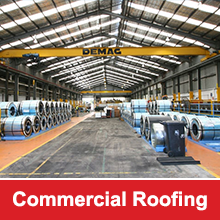 Commercial roofs vary significantly in several ways from residential roofs. It is imperative that the contractor you hire has experience in handling commercial roofs. 4. Getting quotes: Obtaining estimates is an excellent way to ensure that you obtain the best pricing possible when replacing your commercial roof. Remember that while it is always important to make sure that you do not overpay for a new commercial roof, you should also make certain that the contractor you hire does not skimp by using cheap materials that will not hold up to the test of time. 5. Do they offer Warranty: Before choosing a contractor, it is also important to make sure you understand the type of warranty that is available with the commercial roof that you choose for your building. Take the time to read the fine print so that you are certain you understand what to expect in terms of how long the warranty will last and under what types of conditions. 6. Check References: Always obtain and check references on any commercial roofing contractor you consider hiring. This is a big job and it is not one that should left to chance. Checking references can help to ensure that the roof of your commercial building is in good hands. 7. Timing is important: It should be kept in mind that timing can be crucial when planning a commercial roof replacement to ensure that it does not interfere with your regular business activities. 8. Check regulations: Depending on local regulations, arrangements may need to be made for your new commercial roof to be inspected after it is installed. Check to see if your contractor can handle this. Replacing your commercial roof can help to prevent damage to the interior of your building and protect your overall investment in your business. Understanding what to expect and how to prepare to have your commercial roof replaced can help to ensure the process is as hassle-free as possible.